Spread the words around! Job opportunities for Dallas/Ft.Worth/Arlington Deaf/HH community! Hearing who knew sign language is also welcome!!! Dallas Call Center Open House July 25, 2016, 2016 8 am- 8 pm 729 3rd Ave Dallas,Texas 75226 Come and social, eat, and tour! See you on Monday! 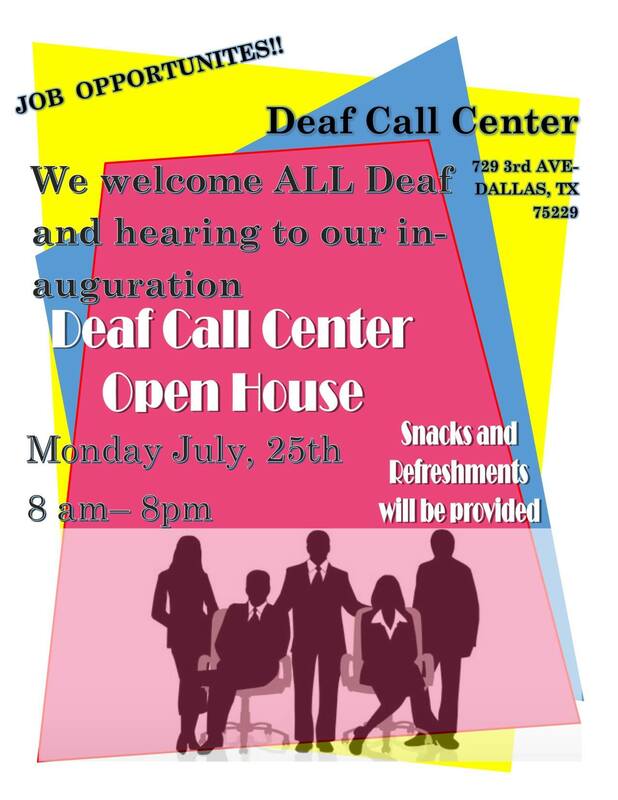 Its open house for Deaf Call Center. We will be answering VP to assist with programs. For more information, please contact Brian Andrew Smithson at [email protected] No cost. It’s free.